An Arab tourist was arrested under the Terrorism Act after filming himself on his mobile phone outside a shopping centre. 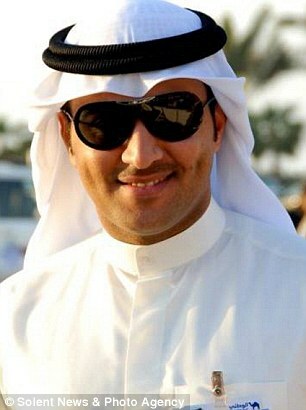 Nasser Al-Ansari was detained in a police van for three hours before police decided 'there was no immediate threat' - but officers kept his mobile phone for further investigation.The 38-year-old had been recording a Snapchat condolence message in Arabic for terrorist bombing victims in his native Kuwait, where 27 were killed in a blast by ISIS last week. He was ordered to delete the footage, taken outside Churchill Square shopping centre in Brighton, by a store security guard but refused because he did not see why he had to.Security then called in the police for assistance. Mr Al-Ansari said: 'I was filming a Snapchat selfie giving my condolences as there had been an incident in my home country, so it was just my face. 'I cannot even describe how I felt.